Tamoxifen Inducible Cre – What is Tamoxifen and What is Tamoxifen Inducible Cre? Tamoxifen is a drug used in treating breast cancer. It is an estrogen-blocking drug used as a hormonal treatment option in cancer patients, usually in conjunction with radiotherapy or chemotherapy, although it can be used as a standalone option. 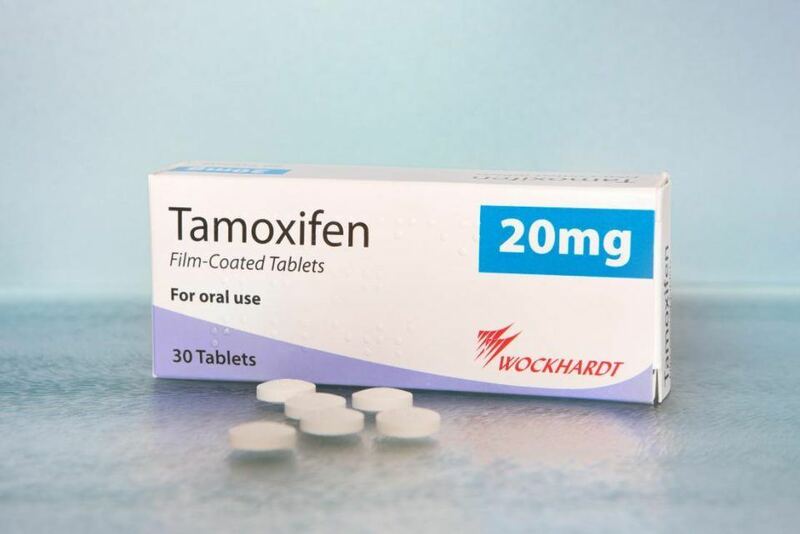 Tamoxifen in patients works by inhibiting the binding of the cancer cells with estrogen, thereby inhibiting the cancer cells from “feeding” on estrogen. According to drug information for Tamoxifen, the drug is also able to compete with estradiol for estrogen receptor protein in breast adenocarcinomas in human patients. Estrogen is one of the requirements for the cancer cells to grow, so inhibiting the production of estrogen in patients can help suppress cancer growth. Apart from its applications in treating existing breast cancer in patients, Tamoxifen is also used as a preventive agent in patients with a family history of breast cancer. The use of Tamoxifen in patients is recommended in at least 5 years since the drug’s protective activity is seen greater in patients taking the drug for at least 5 years. The usual dose of Tamoxifen is 20 to 40 mg orally, daily, for at least 5 years. Side effects related to Tamoxifen use in patients include hot flashes, vaginal discharge, or weight loss. However, apart from these, the drug can also increase the patients’ risk of stroke and blood clots in several areas of the body. Besides its applications in breast cancer treatment and prophylaxis, Tamoxifen also has importance in genetics. The drug Tamoxifen is used in the Tamoxifen Inducible Cre system, where the Cre enzyme is used by researchers to manipulate DNA plants, animals, bacteria, mammals, and yeast. To better understand the Tamoxifen inducible system, let us first define Cre recombinase, an integral part of the Tamoxifen inducible system. Cre Recombinase, according to Wikipedia, is an enzyme called a tyrosine recombinase, from the Bacteriophage P1. A bacteriophage is a virus known to infect and replicate in bacteria and used in creating antibacterial agents, in the food industry, research, and in biological weapons; however, I digress. Cre recombinase carries out site-specific recombination events DNA recognition sites (LoxP sites), which makes it quite useful in molecular biology. Because of Cre recombinase’s characteristics, it is used in manipulating chromosomes and genes in research studies, primarily for conditional gene activation or inactivation in species, like the mice. The Cre-Lox recombinations are used in carrying out gene deletions, inversions, translocations, and insertions at specific cell DNA allowing the DNA to modification to respond to a certain stimulus, like for instance Tamoxifen in the Tamoxifen inducible Cre system. Apart from drugs like Tamoxifen, stimuli for Cre-Lox system manipulations may also be carried out by heat shocks, electric signals, or other chemical signals. 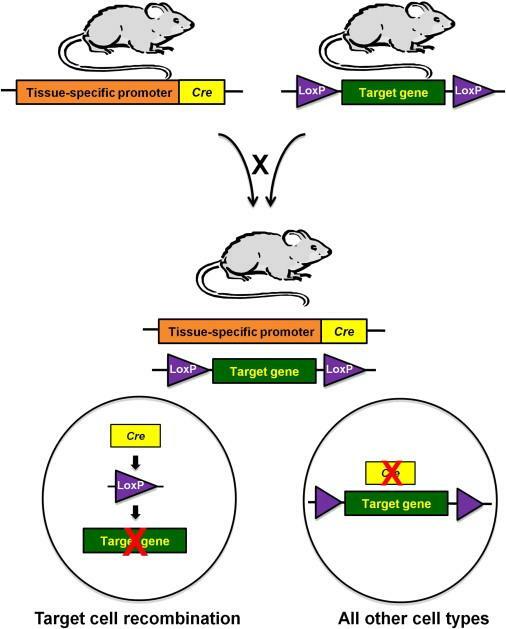 According to the study by Feil entitled, “Inducible Cre mice”, the Cre site-specific recombination system is an essential tool in generating “conditional somatic mouse mutants”. The Cre system allows the researchers to control gene activity in the studied mice, making the Cre system essential in the study of gene function and in opening new avenues for studying human diseases. The Tamoxifen inducible Cre is mainly a Cre system mediated by Tamoxifen, the anti-cancer drug used by breast-cancer patients. The Tamoxifen inducible system allows the control over a gene’s expression in the subject cell—this is done by adding an estrogen receptor on the Cre recombinase, so it responds to Tamoxifen (since Tamoxifen has estrogen-binding properties). This Tamoxifen inducible Cre system is used to delete gene expressions through the genes’ and recombinases’ response to Tamoxifen. Because of the Tamoxifen inducible system works by deleting gene sequences in cells, this system is often used in cell cultures. Tamoxifen-mediated Cre systems are often utilized in transgenic models and usually in conjunction with Cre-ER (Cre estrogen receptors – Cre recombinase + mutant estrogen receptor hormone-binding domain that does not bind with estrogen but binds with Tamoxifen). Tamoxifen is an anti-cancer drug used as a hormone therapy option for patients suffering from breast cancer. Apart from being a standalone treatment for cancer, the drug is also used in conjunction with other cancer treatments as a supplementary treatment. Tamoxifen is used by patients who’ve had surgery, have had chemotherapy, or have had radiotherapy for their cancer. Besides a hormonal cancer treatment option, Tamoxifen is also used as a prophylaxis drug and a cancer-preventive agent in high-risk patients with a robust history of cancer. However, the drug should be taken for at least 5 years so it can be effective in preventing cancer in patients with a history of cancer. Apart from its applications in cancer treatment, Tamoxifen is also used in genetics, as a part of the Tamoxifen Inducible Cre system. Cre-Lox recombinations (like the ones Tamoxifen is part of) are used in manipulating DNA in organisms and are essential in deleting, inverting, translocating, and inserting genes in specific DNA in cells. The Tamoxifen inducible Cre system is typically used for gene deletions in mice. This application of Tamoxifen makes it possible for researchers to study disease developments and possible novel treatments helpful in the future.